There is debate in some circles regarding the acceptance of the idea of evolution, which some say is not widely accepted and they prefer the idea of “intelligent design”. So, lets look into this and see if we can come to some sort of rational conclusion on the matter. First of all, lets determine what is meant by “evolution” and “intelligent design”. “Evolution” is the change in the inherited characteristics of biological populations over successive generations. It is the idea that small changes over many generations lead to bigger differences, eventually to the point that the offspring are noticeably different to the original. People who prefer this often cite biological and fossil records as evidence of their viewpoint. “Intelligent Design” is the idea that an intelligent designer (most often a God or other supernatural deity) designed each species of animal and plant. People who prefer this often claim that it makes more sense to them than evolution, also claiming that the theory of evolution is still open to debate. So, what makes people prefer one explanation for the wide variety of flora and fauna over the other? Well, this is where we need to wade into some psychology, so we can gain a better understanding of the arguments and why people make them. 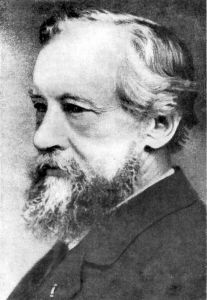 Confirmation bias has been described as an internal “yes man”, echoing back a person’s beliefs like Charles Dickens’ character Uriah Heep. First of all, we have to learn about “confirmation bias“. 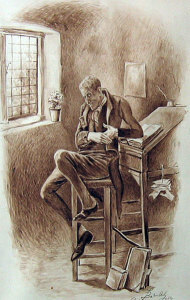 Confirmation bias has been described as an internal “yes man”, echoing back a person’s beliefs like Charles Dickens’ character Uriah Heep. Experiments have found repeatedly that people tend to test hypotheses in a one-sided way, by searching for evidence consistent with their current hypothesis. Confirmation bias, also called myside bias, is the tendency to search for, interpret, or prioritize information in a way that confirms one’s beliefs or hypotheses. It is a type of cognitive bias and a systematic error of inductive reasoning. 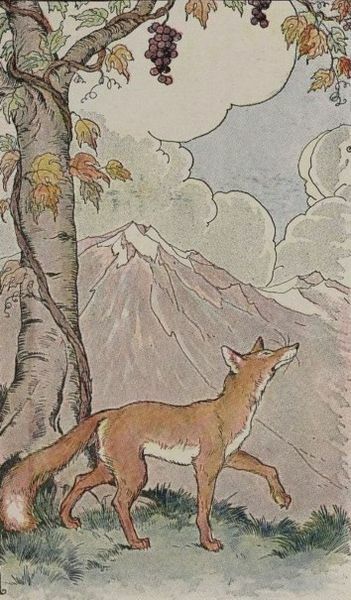 “The Fox and the Grapes” by Aesop. 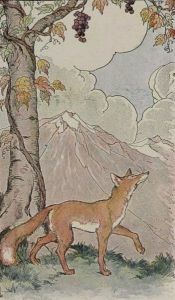 When the fox fails to reach the grapes, he decides he does not want them after all. Rationalization (making excuses) is often involved in reducing anxiety about conflicting cognitions, according to cognitive dissonance theory. These two psychological concepts are the main reasons why people often find it difficult to change their mind on this topic. So, now that we know what is meant by “evolution” and “intelligent design”, and we have an understanding of why people tend to find it difficult to accept information that is contrary to their belief or understanding on a topic, we can now move on to a better understanding of the two sides of the argument. 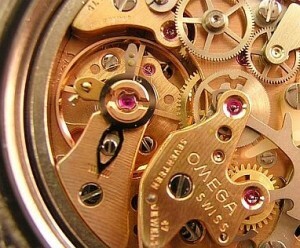 One of the biggest arguments for intelligent design is the idea of Irreducible complexity, that certain biological systems are too complex to have evolved from simpler, or “less complete” predecessors, through natural selection acting upon a series of advantageous naturally occurring, chance mutations. Biochemistry professor Michael Behe, the originator of the term irreducible complexity, defines an irreducibly complex system as one “composed of several well-matched, interacting parts that contribute to the basic function, wherein the removal of any one of the parts causes the system to effectively cease functioning”. It is the “watch maker” analogy, which argues that if you found a mechanical watch, it would be silly to think that such a complex thing had not been designed by an intelligent creature of some kind, and the argument is made that the world around us is the same – that it is too complex to have not been created by an intelligent designer. The proposal that one type of animal could descend from an animal of another type goes back to some of the first pre-Socratic Greek philosophers, such as Anaximander and Empedocles. In the 17th century the new method of modern science sought explanations of natural phenomena in terms of physical laws which were the same for all visible things. 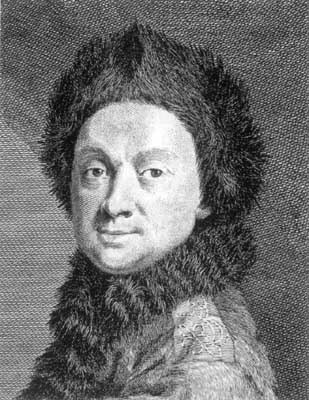 Maupertuis wrote in 1751 of natural modifications occurring during reproduction and accumulating over many generations to produce new species. Buffon suggested that species could degenerate into different organisms, and Erasmus Darwin proposed that all warm-blooded animals could have descended from a single micro-organism (or “filament”). The first full-fledged evolutionary scheme was Lamarck’s “transmutation” theory of 1809 which envisaged spontaneous generation continually producing simple forms of life that developed greater complexity in parallel lineages with an inherent progressive tendency, and that on a local level these lineages adapted to the environment by inheriting changes caused by use or disuse in parents. explain the diversity of animals and plants from a common ancestry through the working of natural laws working the same for all types of thing. 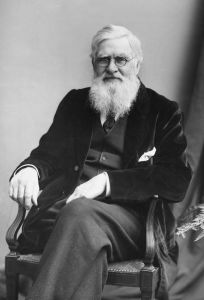 Darwin was developing his theory of “natural selection” from 1838 onward until Alfred Russel Wallace sent him a similar theory in 1858. Both men presented their separate papers to the Linnean Society of London. 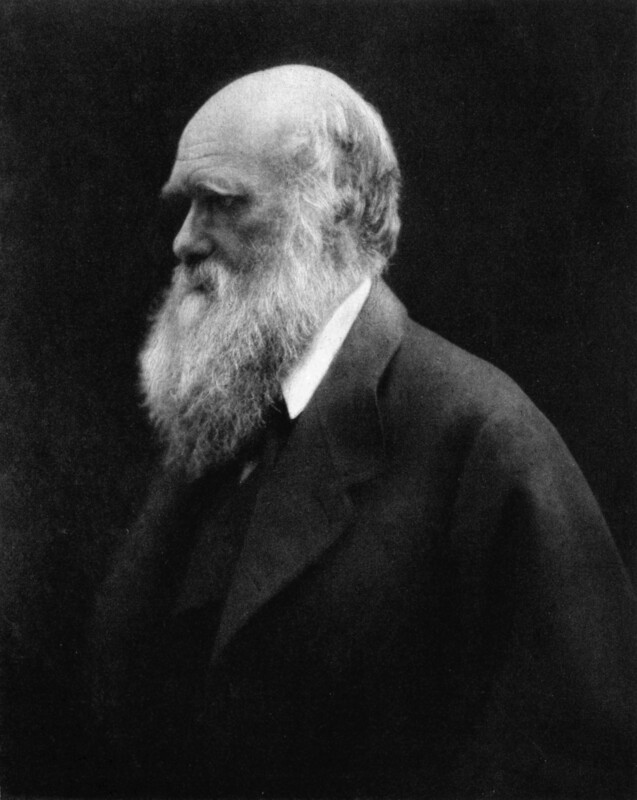 At the end of 1859, Darwin’s publication of “On the Origin of Species” explained natural selection in detail and in a way that led to an increasingly wide acceptance of Darwinian evolution. Thomas Henry Huxley applied Darwin’s ideas to humans, using paleontology and comparative anatomy to provide strong evidence that humans and apes shared a common ancestry. change the cells structure. 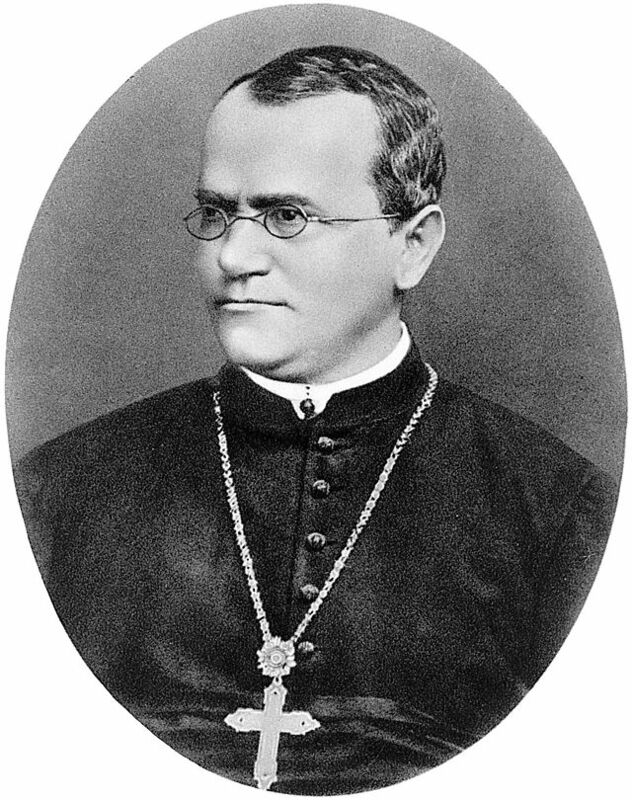 De Vries was also one of the researchers who made Mendel’s work well-known, believing that Mendelian traits corresponded to the transfer of heritable variations along the germline. 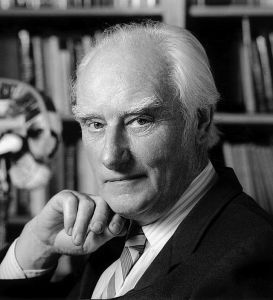 To explain how new variants originate, De Vries developed amutation theory that led to a temporary rift between those who accepted Darwinian evolution and biometricians who allied with de Vries. 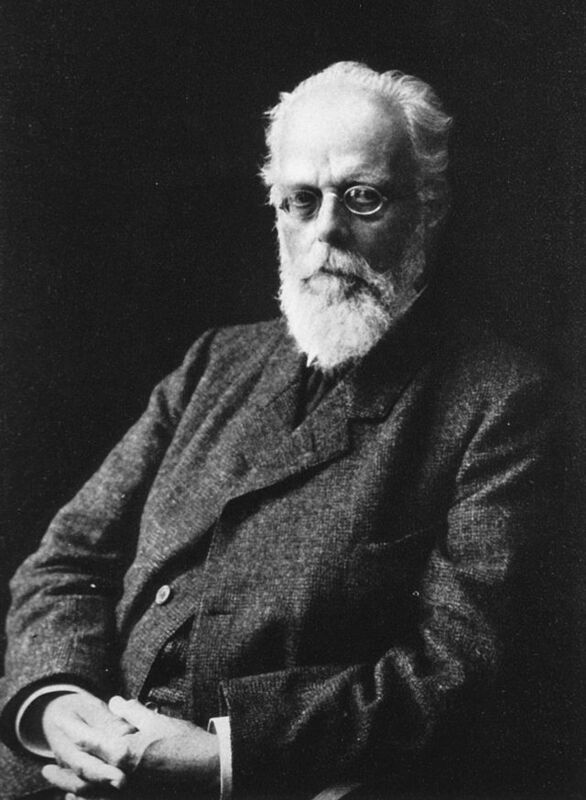 At the turn of the 20th century, pioneers in the field of population genetics, such as J.B.S. Haldane, Sewall Wright, and Ronald Fisher, set the foundations of evolution onto a robust statistical philosophy. The false contradiction between Darwin’s theory, genetic mutations, and Mendelian inheritance was thus reconciled. 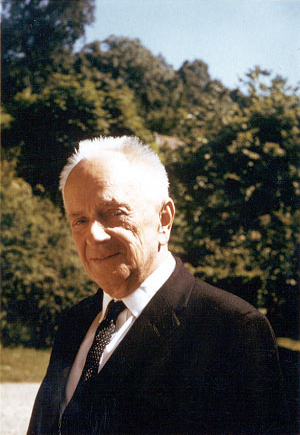 Theodosius Dobzhansky penned that “nothing in biology makes sense except in the light of evolution”, because it has brought to light the relations of what first seemed disjointed facts in natural history into a coherent explanatory body of knowledge that describes and predicts many observable facts about life on this planet. 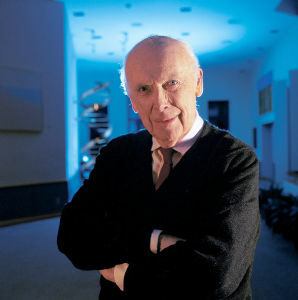 Since then, the modern synthesis has been further extended to explain biological phenomena across the full and integrative scale of the biological hierarchy, from genes to species. So, are you any closer now to deciding which you think is the more rational conclusion on the matter. No? Well, I’ll conclude this with a little more information, and let you draw your own conclusions. 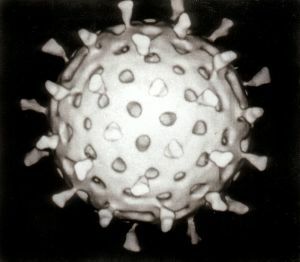 Viruses are living organisms, with a short lifespan, but they replicate both very quickly, with a high number of offspring, and importantly with a relatively high genetic variation. Thus, in a 24 hour period, one individual virus organism, may become many tens of thousands, of which that original single virus could be regarded as the great-great grandfather of them all. Now, not all of those ‘new’ virus organisms will be exactly the same as the original, as said above, there will be a fairly high genetic variation. This is what makes fighting viruses such as influenza (also known as the flu) so difficult, not just for the human bodies natural immune system, but also for the medical profession who try to limit it’s spread with vaccinations. Now, none of this is a guess, we know this from observation, from repeatable experiments. This is all fact. So, does it sound reasonable to you that an intelligent designer is altering the virus almost every time it replicates, which could be quickly as every few minutes, in every person and animal infected with the virus at the time (which could easily number in the millions). Or does it sound more likely to you that it’s a natural process of evolution, which doesn’t require intervention? Previous PostTerrorist Muslim Radicals!Next PostAn open letter to Pauline Hanson.